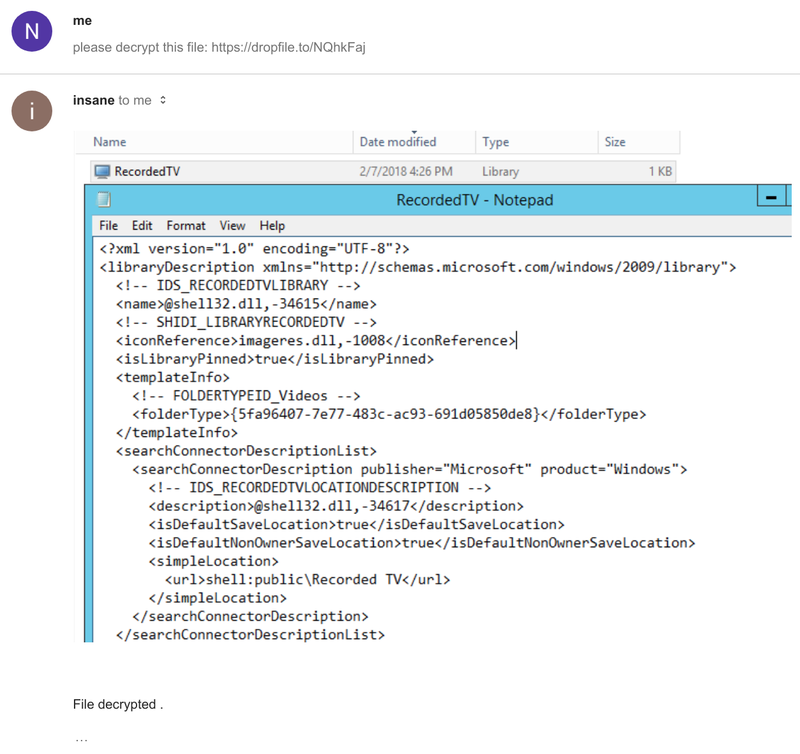 The Sonicwall Capture Labs Threats Research team have come across a variant of the DesuCrypt ransomware called InsaneCrypt. This variant uses RC4 encryption and encrypts files immediately upon execution. Unlike earlier ransomware, there are no threatening countdown timers and ransom payments amounts immediately presented to the victim. 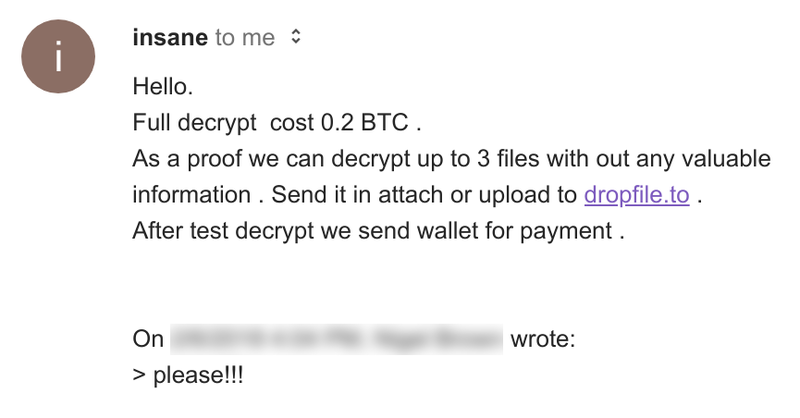 Instead, as is the growing trend with most ransomware today, the victim must communicate with the operator via email for further instructions. At the time of writing 0.2 BTC is worth $1713 USD. Assuming that the screenshot was taken a few minutes before being sent, it is interesting to note that the attacker may be operating in the PST timezone.